For 30-year-old Ibtehal Al Shareef, mobility equals freedom. 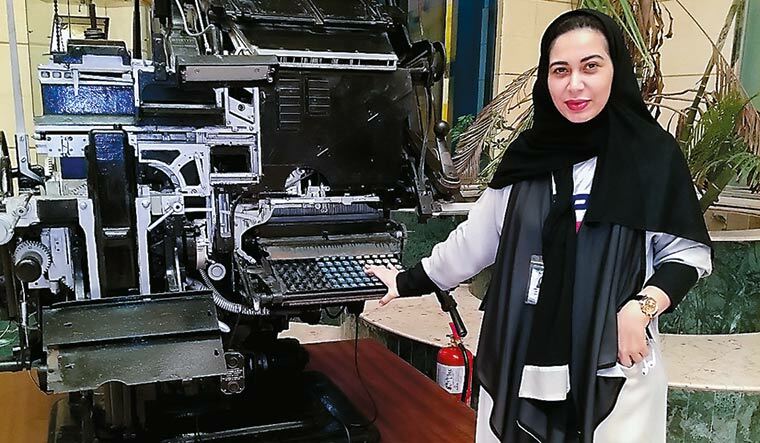 The schoolteacher-turned-photographer from Jeddah remembers the time when she had to depend on cabs or on her father or brother to ferry her to the workplace and back. She had got her driver’s licence while the family lived in Dubai, but could not get behind the wheel in her home country because of a ban on women driving. 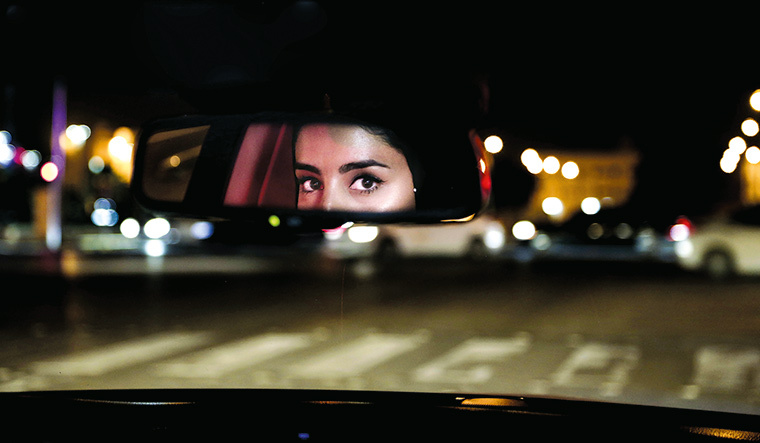 It was at the stroke of midnight on June 24, 2018, that the ban on women driving in Saudi Arabia came to an end. There was celebration and jubilation as scores of women burned rubber across major cities. The occasion even saw Princess Hayfa bint Abdullah Al Saud, daughter of the late king Abdullah, appear on the cover of Vogue magazine, in the driver’s seat of a red convertible, glamourously attired in a fashionable abaya, complete with black leather gloves and high heels. The driving ban was repealed through a royal decree in September 2017, and the first driver’s licences were issued to women in the first week of June 2018, most of them in exchange for driving permits procured in other countries. The lifting of the driving ban is perhaps the biggest sign of the dramatic change that is currently under way in the kingdom in terms of empowerment of women. “It will bring more women into the work force. It will contribute to their feeling of independence and empower them,” said Al Shareef. It is almost like women were waiting for an opportunity to go out there and be free. For example, the existing driving schools are unable to cope with the demand from women who want to learn to drive. As per an estimate made by PricewaterhouseCoopers, by 2020, 30 lakh Saudi women would have got driver’s licences. Recent years have seen changes, with an increasing number of women going for higher studies and taking up jobs. Women were allowed to contest and vote in municipal elections in 2015. In 2016, the powers of the religious police to stop, question or arrest people were taken away. “All of my friends and my cousins are working or want to work. This is a big change from my mother’s generation,” said Haya Aldamigh, a resident of Riyadh, who works as a specialist in the ministry of media. Women can now watch sporting events at stadiums. In the past, they could get arrested for entering a stadium. The first Saudi woman to get a pilot’s licence, the first woman TV presenter, the first women appointees to sports federations, the first women’s sports teams, the first woman to sing in a music festival and the first ever marathon race for women are some of the many firsts that have made headlines in the past one-and-a-half years. Government departments opened up senior-level positions for women for the first time. The change in the Saudi society is most evident in men and women mingling in public spaces, with gender segregation not being enforced. This has made it possible for more women to join the work force. “A few years back, it would not have been possible for women to work in a newspaper. And this was primarily because of gender segregation,” said Khalid A. Tashkandi, assistant editor-in-chief of the Saudi Gazette. He said 20 per cent of the editorial staff at the newspaper now comprised women. Many restaurants, however, continue to have separate sections for women and families. And, this is primarily because of reasons of practicality. Hijab-wearing women need privacy, as they remove it while eating. There is also a women-driven demand for separate public services, such as banks or smoking rooms in airports. At the societal level, women are now deciding what they want to study, where they want to work, who they want to marry and when they want to get married. “I am 28. And, of course, my parents want me to get married now, but the decision will be mine,” said Alaa M. Al Ghamdi, who works as a public relations officer at the Organisation for Press and Publication in Jeddah. Women now have better rights than before in the personal sphere. Divorced women are now entitled to financial aid from the government, and they will get custody of their children till their divorce cases are decided. This will mean that women will not have to endure abuse at the hands of their husbands in silence because they are financially dependent on them. It is no longer mandatory for women to wear an abaya—a loose-fitting outerwear, normally black in colour—or a headscarf in public. Crown Prince Mohammed bin Salman said in an interview in March 2018 that it should be left to the women to decide their clothing. “The laws are very clear and stipulated in the laws of sharia, that women wear decent, respectful clothing, like men. This, however, does not particularly specify a black abaya or a black head cover,” he said. 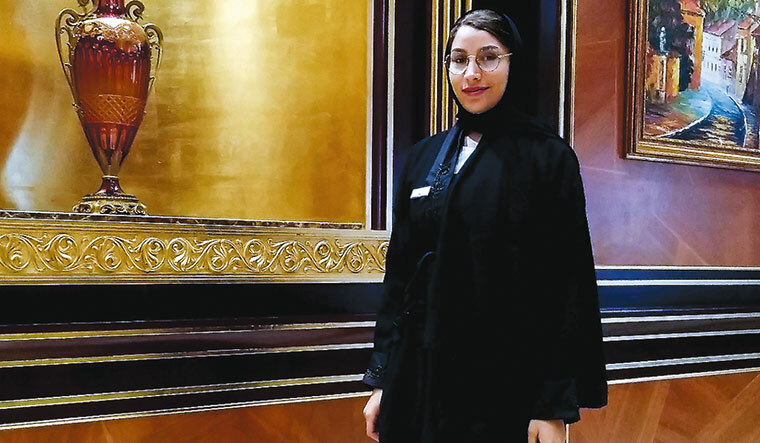 An increasing number of women, especially college-going youngsters, are finding new, more fashionable ways of wearing the abaya, some not buttoning the front all the way down so that their stylish jeans and shoes are visible, or wearing it more like a cape or a long shrug. Women are opting for designer abayas, which come in different colour combinations and are embellished with sequins and crystals. Keeping with the decision to allow women into stadia, fashion designer Eman Joharjy launched the sports abaya. Saudi Arabia had its first fashion week in April 2018, although drones and not models showcased the clothes on the ramp. “Who wears these clothes? We wear them!” said Nouf. 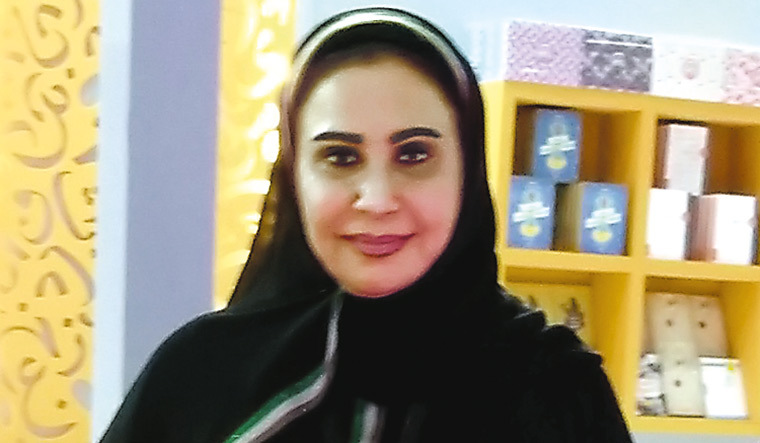 She showed a picture of herself on her phone, in which she was dressed in a trendy short dress and was unidentifiable, as against her traditional abaya-clad office look. “I do not wear the abaya when I am travelling out of Saudi Arabia. And, young women like me wear western wear when we are amongst family and friends,” she said. The young generation has a lot of international exposure, with many of them going abroad for higher studies. The explosive growth of social media and the revolution in the entertainment scene because of online media has made the youth aspire for similar circumstances back home. “We cannot impose the old rules on the new generation. The internet has changed their outlook. They have exposure to the whole world,” said Tashkandi. The fast-paced changes are being credited to the reformist agenda of MbS, who became crown prince in March 2016. He is said to have heeded the aspirations of the youth in drafting his Vision 2030, which aims at turning Saudi Arabia into a multi-faceted economy, which is not dependent solely on the oil sector. The government hopes to increase the participation of women workers from the current 22 per cent to 30 per cent by 2030. Refurbishing the country’s image by ridding it of hardline Islamic practices is also an important aspect of Vision 2030. Nawal Baksh, who is the country’s first woman TV presenter, credited the changes to the policies of MbS. “The revolution that we are witnessing is because of Vision 2030, which is all about meeting the aspirations of the youth. Seventy per cent of the population is young. Our youth go all over the world to study, and when they come back, they should have jobs and a social milieu that they aspire for,” said Baksh, director of family and society programmes for Riyadh Radio. However, while Saudi Arabian women may now be enjoying new rights and freedoms, speaking out against injustices or being critical of the establishment is still not acceptable. This was evident as several women’s rights activists, who had campaigned for the Saudi woman’s right to drive, were arrested around the same time as women in the country were allowed to drive. Manal Al Sharif, who was put behind bars in 2011 for defying the driving ban, and who is now living in Australia, said she wanted to visit Saudi Arabia but feared that she would be arrested. Al Sharif, 39, is the first Saudi woman cyber security expert and was one of the main campaigners for the Saudi woman’s right to drive. She was forced to exit Twitter recently in the wake of a flurry of hate messages. Also, the recent incident of Saudi teenager Rahaf Al Qanun getting asylum in Canada as she feared that her family might kill her or that she can be arrested puts the focus on the much criticised male guardianship law in the country. Under the law, women are required to seek consent from their male guardians, who can either be their father, uncle, husband, brother or even son for small and big decisions in their lives, including work, marriage, travel and even medical treatment. A woman can be arrested for parental disobedience. Exceptions can be made in this law by a royal decree. One such exception is the driver’s licence, which no longer requires a guardian’s permission. The Saudi society, while displaying a readiness for change, also has to deal with conservative elements, who are not yet ready to accept the new developments. There have been several instances of cars belonging to women getting torched. A young man posted a video of himself issuing the threat of burning cars down. He was later arrested. Songs such as ‘You will not drive’ and ‘No woman, no drive’ came up on social media. The conservative viewpoint has also been raised in the Shura Council, the consultative assembly of Saudi Arabia, which advises the government on law and policy. Last September, the council refused to approve a proposal to stop accusing women of parental disobedience.